While millions starve around the world wealthy nations waste food. Yesterday in Trafalgar Square "feeding the 5000" , an organisation set up to hightlight this waste, invited the public to a free lunch made with food that would otherwise have gone to landfill or pig food. 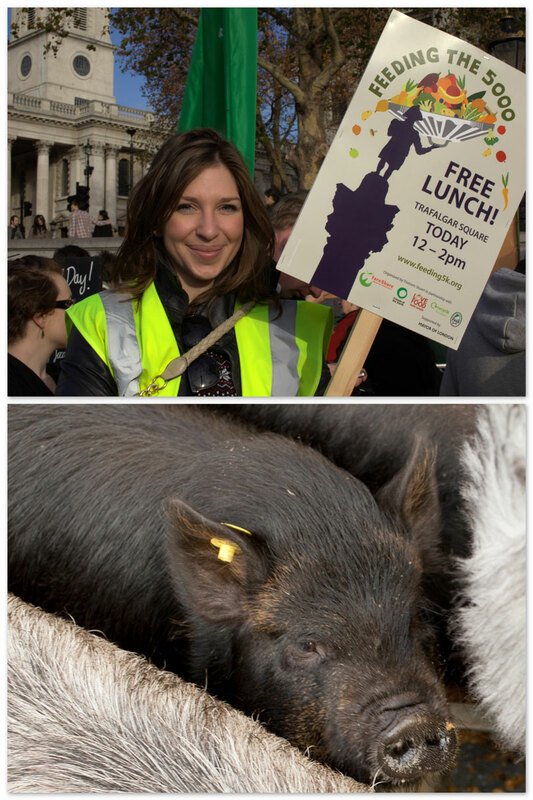 They handed out a booklet of recipes on how to make delicious meals with left overs, invited you to pat a pig and invited you to join the pledge on their website to reduce your food waste. If only the policy makers would take note!